In this part of Texas (and parts south), we tend to worry more about heat gain during the summer and don’t think too much about heat loss. But the fact is, heat loss is an issue for a few months of the year. And since heat rises, the biggest source of heat loss in your home is through the attic and roof. This is why we put insulation in the attic — to keep the heat where we want it, inside in winter, outside in summer. 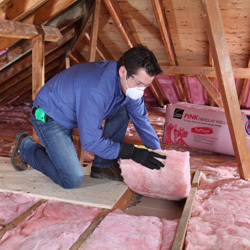 Insulation only really works if there are no gaps, and the best way to have no gaps is to use blown, or loose-fill, insulation. Batts don’t fit as well around pipes and duct work (which is rampant in attics) so using them alone will produce inferior heat loss protection. Loose-fill minimizes gaps. 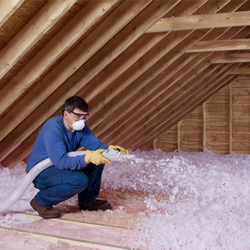 There are two main types of loose-fill insulation: fiberglass and cellulose. Both are environmentally friendly. Fiberglass is made from glass fibers (i.e. spun sand). 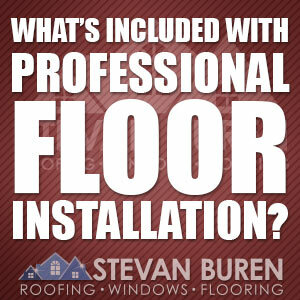 Cellulose insulation is made from all sorts of things. The cellulose fill I bought to use in paper maché is mainly newspaper and other paper products, with some bits of plastic bags and other detritus mixed in. I was honestly surprised it wasn’t just paper, as the packaging promised. When beginning to research, the first question I investigated was related to fire safety. Fiberglass is inherently non-combustible (seriously, have you ever thought to use sand or glass as a fire-starter?) In the event of a fire, it just didn’t seem like a good idea to have an attic full of shredded paper. Turns out, cellulose insulation is indeed a fire hazard recognized by the Consumer Product Safety Council. However, it is treated with fire-retarding chemicals, namely borates and ammonium sulfate. Which is both good and bad. Good in that it won’t catch fire as easily as non-treated cellulose, but bad because it requires chemicals to do that. That led to another question: What are borates and ammonium sulfate anyway? Borate is boric acid, which I use at home in my laundry and as an inexpensive ant poison. Long-term exposure has been linked to kidney damage. Ammonium sulfate is a corrosive salt used in fertilizer. Ant poison and fertilizer? Potentially eighteen inches deep all over my attic? Right above my head? Asthma aside, the sort of good news is that those fire-retarding chemicals off-gas over time, often within a year. That’s not really long enough to count as ‘long-term exposure’, so kidney damage is unlikely. But the bad news is: after off-gassing, you’re left with a bunch of shredded paper in your attic. And even worse news: mold and bacteria love cellulose. It readily absorbs moisture, and rodents use it for bedding and… ehm… toileting. Fiberglass insulation is non-corrosive, non-combustible, does not absorb moisture, and is a mold inhibitor. Okay. So obviously I’m grossed out a bit. Let’s move on to other practical comparisons, like R-values, settling, and the weight of the material on your ceiling. Insulation’s R-value (or thermal resistance value) depends on density and thickness. Here’s where cellulose seems to have a bit of an edge. Of course actual numbers depend on brand and installation, but the Department of Energy offers a general R-value of 3.2-3.8 per inch for blown cellulose, and 2.2-2.7 per inch for generic blown fiberglass. However, R-value diminishes with settling (it gets thinner, with fewer insulating air pockets). 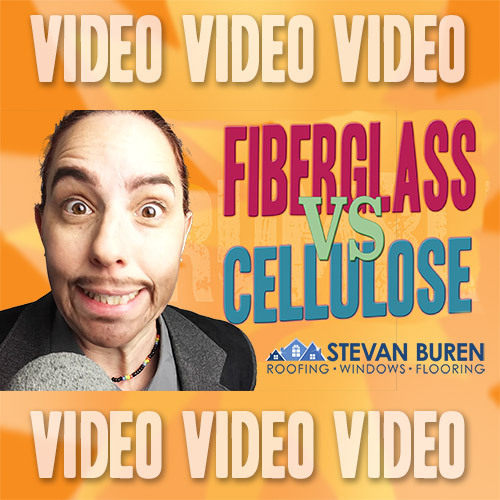 The settling rate of fiberglass versus cellulose balances the scales again. 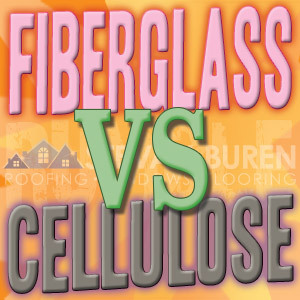 Fiberglass sports a one-percent (1%) settle rate, while cellulose can have a whopping twenty percent (20%) settle rate. Add to that, cellulose weighs three times more per cubic foot than fiberglass, even more when you include mold, mouse excrement, and moisture…. Okay, grossing myself out again. 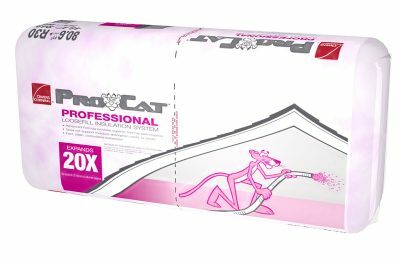 By the way, Stevan Buren Roofing, Windows, and Flooring uses Owens Corning ProCat and ProPink insulation. It has a settle-rate of less than 1% and an R-value of at least R-3.04 per inch. Of course it’s still non-corrosive, non-combustible, mold-inhibiting, and moisture resistant.